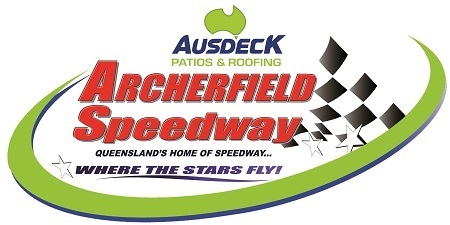 In a faultless display in front of boisterous home crowd, Andrew Scheuerle etched his name into the record books with a stunning victory in the 2018/2019 BK Trading Australian Sprintcar Championship at Ausdeck Patios Archerfield Speedway on Sunday night (January 27). Having qualified on the outside front row for the 40-lap championship feature race, Scheuerle played a waiting game behind James McFadden before surging into the lead on lap 21 to become only the second Queensland driver to win the event in it 57-year history. A winner of the championship on two occasions, McFadden finished second ahead of Jamie Veal and another two-time titleholder in David Murcott, with Ian Madsen finishing fifth. Steven Lines, Lachlan McHugh and defending champion Kerry Madsen were next best, with Brooke Tatnell and Matt Dumesny rounding out the top ten. In yet another memorable chapter in the history of Australias most important Sprintcar race, Scheuerle cast aside self-doubt and the reputations of his rivals to score a memorable win. The self-proclaimed â€˜local club racerâ€™ rose to the occasion on the biggest stage of all and, in so doing, becomes only the 24th driver to have held the Australian Championship trophy aloft.